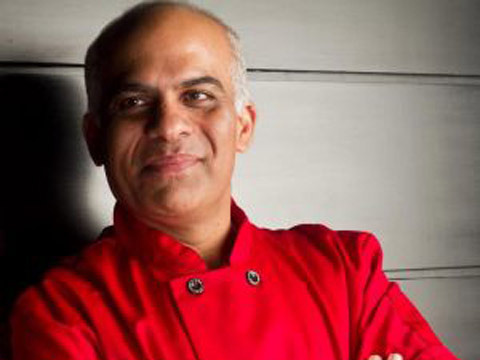 In an exclusive interaction with Restaurant India, Chef Rakesh Talwar, Partner and Chef- The Spare Kitchen, speaks about his multi-cuisine restaurant. What made you serve an expansive menu ranging from Indian and European to fusion? And which is the top selling cuisine? When everyone goes out together for dine out, they do not want to eat the same cuisine. So they all cannot eat at the same place, so we decided to give them a place, The Spare Kitchen, which will serve a mix of all the cuisines, thus giving customers a variety of eating options according to their choice. Indian is the top selling cuisine among all other cuisines that we serve. Being a chef, how do you check the healthiness of the ingredients used in your menu? Checking on the healthiness of the ingredients is the most important thing to do. However, it is very difficult to figure it out as it is a personal check that one needs to do at restaurants. What according to you is the new trend? What new have you brought recently in your restaurant? Indian cuisine with a modern touch is the new wave in the market today. Modern Indian cuisine is technically how the way you cook the food and how you serve it on the plate. Earlier, it just used to be a bowl or something similar in which you served. But now, how you serve is also very important. With the availability of so many things, it is becoming better and better each day. What is your view on the changing taste of the consumers? Travel has become so easy for people and TV relays the best options that they can get. So, everyone wants to try once the food or restaurant they have heard about. What do you think about the fast food chain that is entering India creating competitions for restaurants like yours? I love competition. And being aware of the market, we are a few steps ahead of the others. People who are coming from another country are told to see The Spare Kitchen and the way they are doing things. So, it is enough for me, where I stand. I am ahead of everybody who wants to come in the competition. What are your views on the FSSAI law and its take on food products? Everybody needs to follow them but they should have come a little earlier. Because there was a time when there was no material coming in. But technically I tried to store ingredients which were locally available. What strategies do you adopt to deliver contemporary food to your customers? I start planning on my menu when I see my customers coming into my restaurants. I put something on their table which they haven’t ordered. Then I ask feedback from them. The Spare Kitchen second one is coming in Worli by December, and the second Café Cubano is coming by October-November of this year and another of The Spare kitchen is coming in Dubai next year. Are you planning for fund raising? Not really, I need to grow the company a little more before the investors come in. You are the owner and the chef of The Spare Kitchen. Tell us about your journey. It has been an interesting journey. I have partnered with two young boys who came up with the idea of doing this business. At that time I was at Nasik, when they called me up and shared the idea of starting a restaurant. The restaurant has three owners including me and my share is 15 per cent and the other two share a split balance. I have many restaurants like The Spare Kitchen- serving modern Indian and global cuisine. Wok this way- QSR format, outlet in Versova and Bandra, doing Pan-Asian cuisine, Curry Leaf- Multi cuisine restaurant in Vile Parle, Cafe Cubano- Casual bistro in Vile Parle, O:h Cha- Authentic Thai cuisine stand-alone restaurant, The Playlist Pizzeria- QSR format wood fired baked pizza restaurant, The Bakers Cafe- Make it, bake it n take is the concept of this cafe located in Juhu, Whispering Woods Resort- Located in Lonavla, Boomerang Bistro (Malaysia)-A fun place for food n drinks located in Kuala Lumpur, The Rolling Pin (Malaysia)-Classical Indian and oriental cuisine, located in Kuala Lumpur. These are Chef owned Restaurants. We have revenue of 12-14 lakh per outlet- Ketan Ka..